11 Cat Boat has been added to your favorites! 11 Cat Boat has been removed from your favorites! 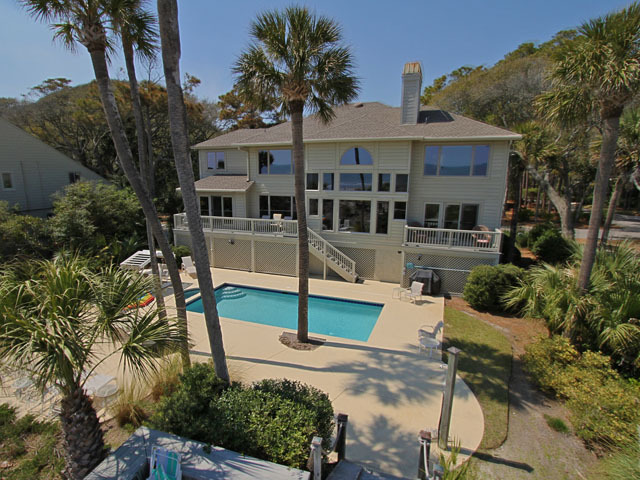 Amazing oceanfront 5,300 square foot home…..your ideal vacation getaway! 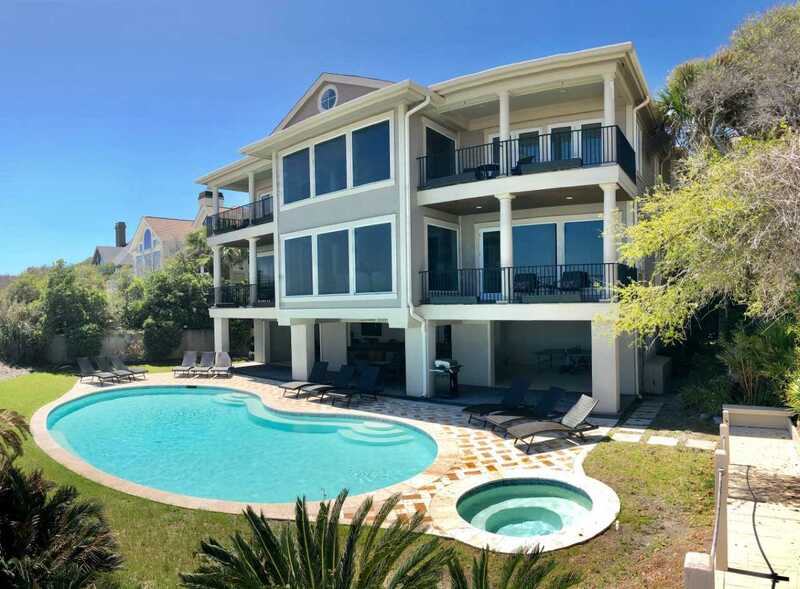 The home is perfect for entertaining with six bedrooms, six and half baths, two large living areas with large TVs (82 inches and 65 inches) and relaxing sitting areas to enjoy the beachfront life. 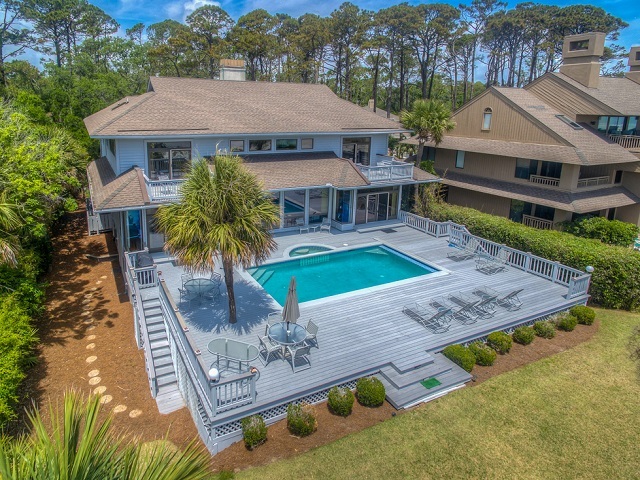 Featuring spectacular ocean views, large pool with waterfall feature and outdoor seating with private access to the beach! Main Floor: The two-story entry welcomes you to the home. A wall of windows brings the light in to the cozy living room with a large TV, sectional couch and wet bar. Walk out directly to the pool deck. There is travertine tile throughout the entry and living room spaces. On the main floor are three bedrooms with bedroom #4 set up with a king bed, bedroom #5 with two Schoolhouse twin bunk beds with stairs and one additional twin trundle and bedroom #6 with a queen bed. All bedrooms have large plank styled floors, en suite bathrooms, TVs and closet and drawer storage. The spacious laundry room is also on this level with matching Kenmore washer and dryer. Top Floor: A curved staircase brings you to the top floor where you will be awed by the +20 foot cathedral ceilings with wood beams that create a natural, light filled experience. Then take in the view of the beach from the living and dining/kitchen space and the sound of the waves from the deck on this level. The living room takes advantage of the high ceilings with an 82 inch TV mounted over the fireplace mantel, grand piano and comfortable space to enjoy time together or enjoy the view. The dining room has a handcrafted, live edge custom wood table that seats 14. This leads into the kitchen with large island, Dacor stainless steel and built-in appliances and well-stocked kitchenware to enjoy a culinary adventure. Step out of the kitchen onto the deck which overlooks the pool. Grill your meal and dine al fresco at the deck table. In addition, there is an office/den space off the kitchen that has a pull-out queen size sofa and TV. On this floor, there are three bedrooms, all with cathedral ceilings. Bedroom #1 is the master suite with a king bed and sitting area. The master bathroom has a tray ceiling with oversized shower and his and hers vanities and closets. Bedroom #2 has a king bed and en suite bathroom. Bedroom #3 has two side-by-side queen beds and an en suite bathroom with two separate vanities. All bedrooms have TVs and ample storage space. Main Floor Pool Deck: There is room to enjoy the outdoors with a covered patio area that has table-top seating for 6 and a second covered patio area with sectional seating and outdoor toys all leading to the large pool. The upper pool seating area is above the main pool which allows for a gentle waterfall. Nestled below the shade of the palm trees near the beach are loungers. The private path to the beach has a sunning area with more loungers…..and the sound of the waves where you will feel like you are on your own private beach. 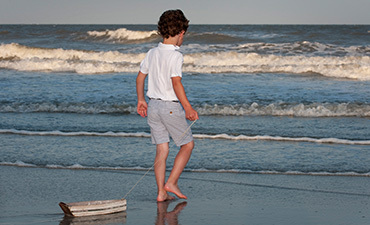 Mention this promo for $900 off the already low rates- includes Easter.